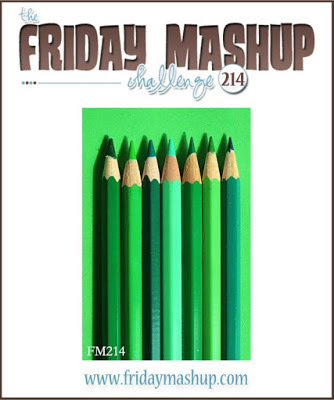 Hello Friends, I am popping in with a quick post for the latest MFT Sketch Challenge. I have been eyeing this sketch for about a week, and tonight after work I finally had a chance to put something together. 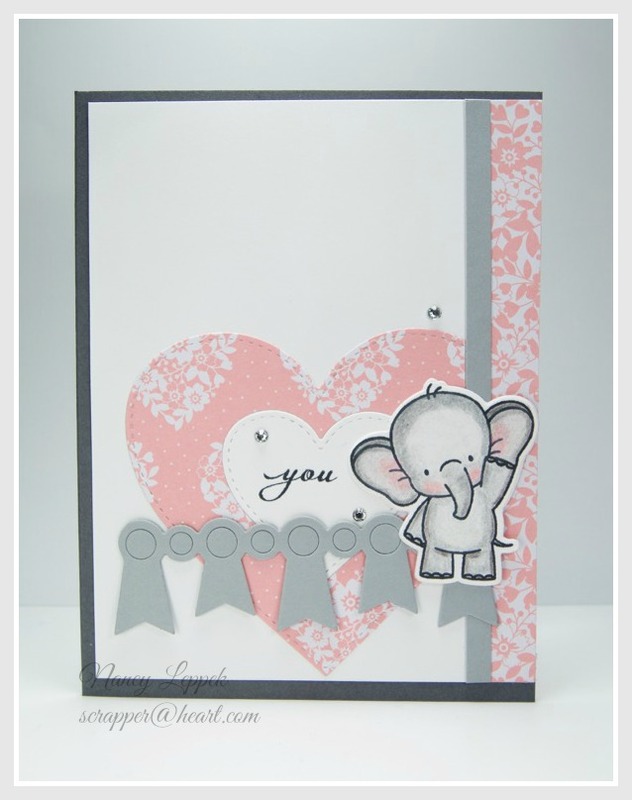 I literally am in love with my new Adorable Elephant stamps and matching dies from MFT along with my Stitched Hearts. You are going to be seeing a lot of these so I will apologize in advance! Infact, all the dies here are from MFT and the you sentiment is from Verve. Categories: Cards | Tags: Card making, Cards, hearts, love, my favorite things, rubber stamps, stamping, Verve Stamps | Permalink. Hello Friends, Hope you are having a good week so far. 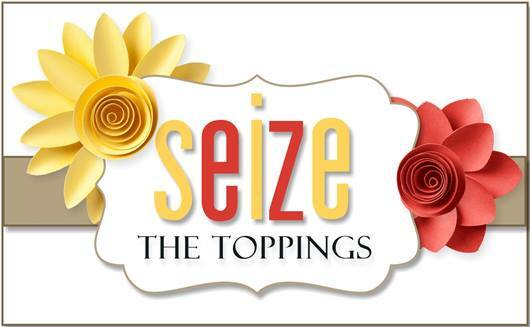 It’s Thursday and it’s time for a new challenge over at Seize the Birthday. This time around our topping is Clean and Simple, which is something I plan to tackle more of this year. I want to take some of the pressure off myself and stop thinking each card has to be better then the one previously posted. Please tell me you put those types of pressures on yourself too? I sure hope someone out there does this and I am not alone on this crazy thought process. Anyhooze…..Today’s card was inspired by this card I found over on Pinterest. I have linked it up for you HERE! It was done by the talented Kristina Werner. Everything she does is like jaw dropping gorgeous. My card has quite a few flaws but it sure was fun to do. The hardest part was finding all the small stamps from various stamp sets. Then when I went to get started, I knew I wanted to do a heart, but didn’t have any heart dies. ( I think that needs to be rectified pronto!) So I turned on my cameo and made myself a heart negative mask, which was super quick and worked perfectly. The sentiment and sequins are from Verve. I sure hope if you are stamping sometime over the next few weeks you will consider making a CAS card and join us at STB! 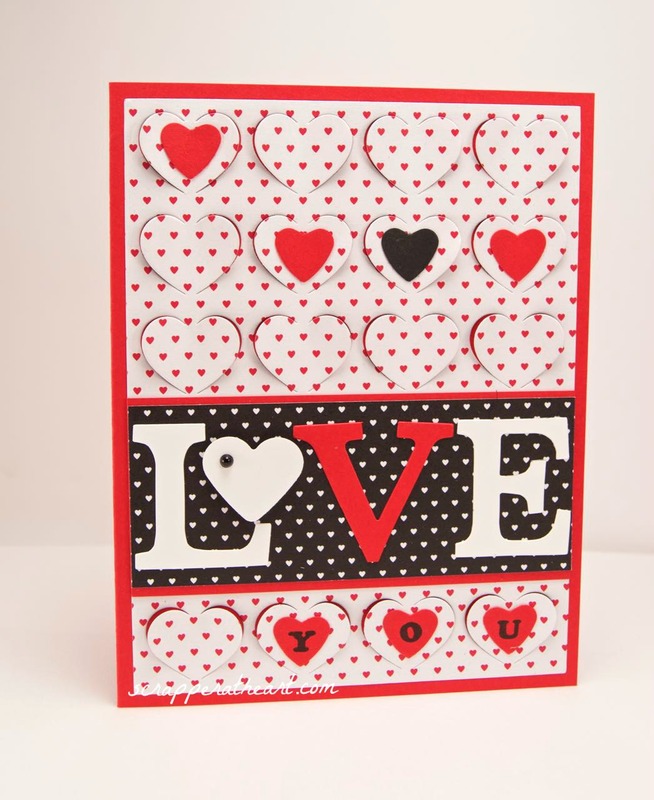 Categories: Cards | Tags: Card making, Cards, Clean and Simple, hearts, rubber stamps, stamping, Verve Stamps | Permalink. Hello Friends, The month of June is about to come to an end, but before it is done I do have a wedding card for you. After all, June is known to be ” Wedding Month” now isn’t it. My family and I are headed to Michigan in a couple of days to attend my niece’s wedding. Not sure who is more excited…. my son, his first Vacation since he gradated from High-school. (No joke) Although, he did inform me yesterday that he will be working some while we are gone…that kid of mine never quits. Our brother in-law is excited too. He informed us today that he has every single sporting equipment that you can think of laid out and ready to go. The only thing I am a little concerned about is all the rain they have been having and the swimming pool is only 60 degrees. Brrrrr. We are looking forward to having the family all together for sure! Ty’s girlfriend is coming with us too, however she has been warned that the Leppek family is a little crazy. LOL Should be good fun! Sorry, my upcoming vacation is not what you came by to listen to now is it. The photo of this card makes the card look as if the colors don’t match. However, you will have to trust me that the light brown is more of a tan and does contrast beautifully. 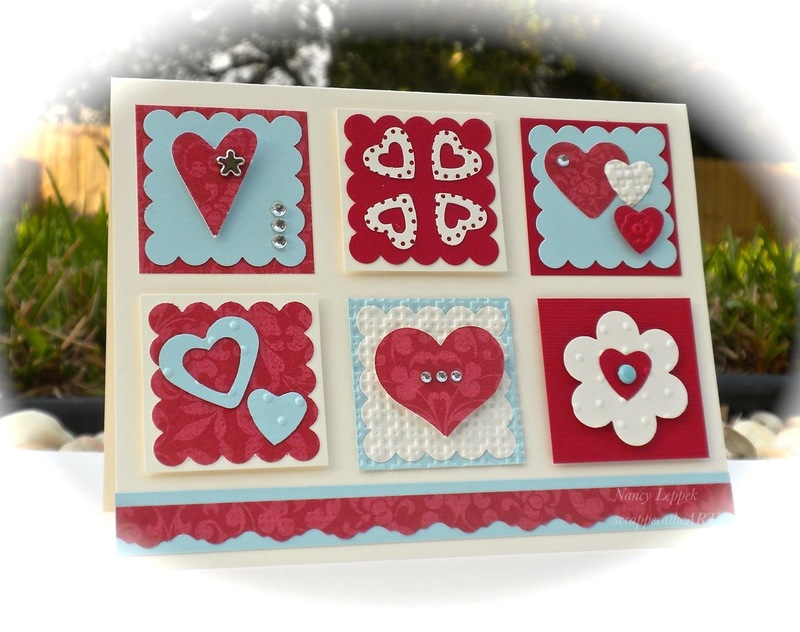 I have made a card similar to this one in the past and I just love the look of it with those cute hearts. I don’t think you need much info on this card other then….the sentiment is from Stampin UP and the heart border is a punch from Martha Stewart. I am also linking my card up to the following challenges; Time Out Challenges where the challenge is inspired by these words…..Happy is the Bride that the Sun Shines on. And over at Freshly Made they are asking for either a monochromatic theme and or a stencil theme. I think it’s quite obvious I went with the monochromatic only. 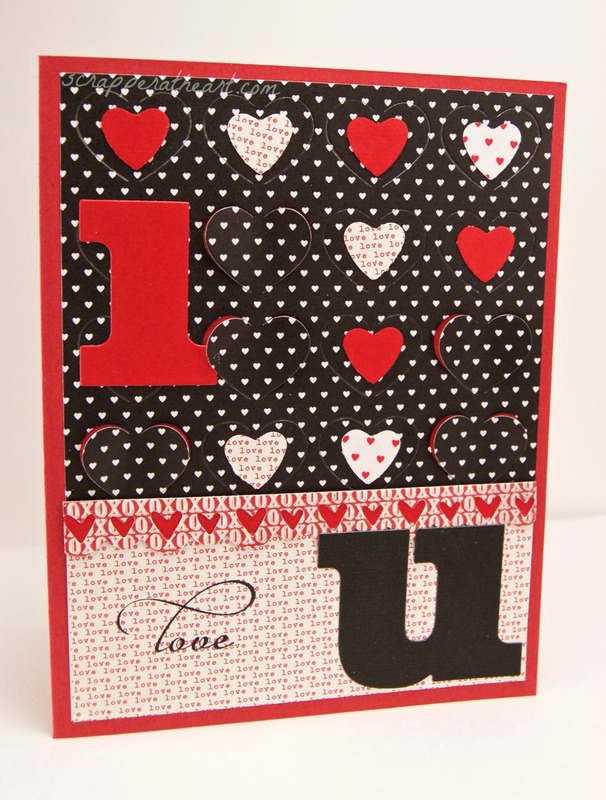 Categories: Cards | Tags: Card making, Cards, hearts, love, rubber stamps, stamping, wedding card | Permalink. 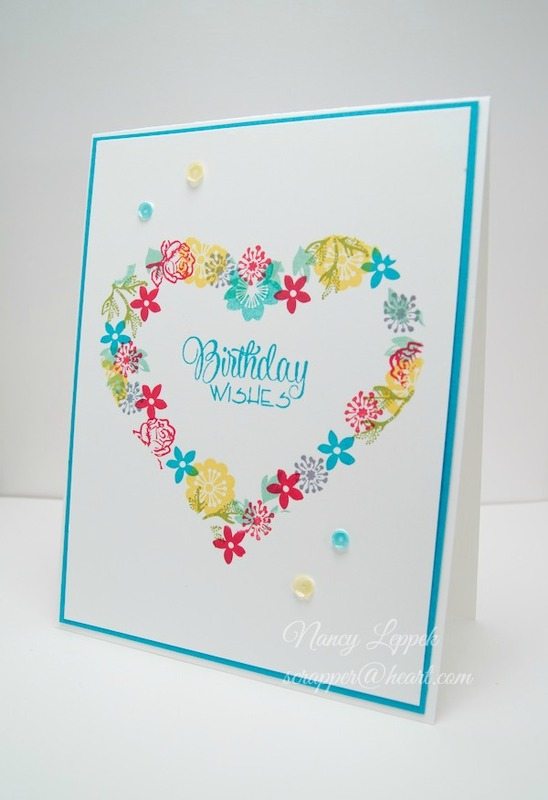 Hi Friends, I promise this will be the last card using my new Fluttering Hearts Cover-Up from MFT! Well, at least for a little while…I do have an Anniversary on the Horizon….LOL. 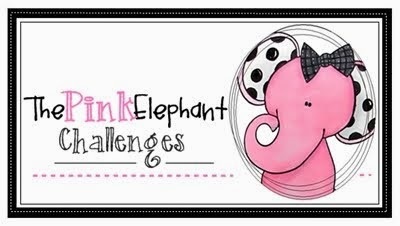 I am entering this card in two challenges: The Verve’s Blog Inspiration Challenge and the Pink Elephant’s Be My Valentine challenge. 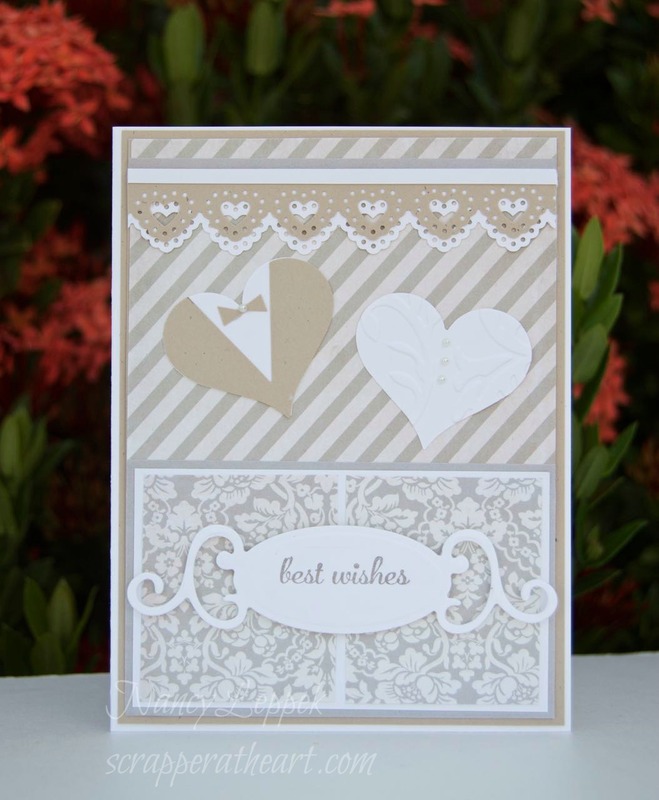 As soon as I saw the X’s and O’s on the Verve challenge photo I knew I wanted to incorporate my Verve Die Cut and coordinating Stamp Set called You and I along with my MFT Fluttering Hearts die. 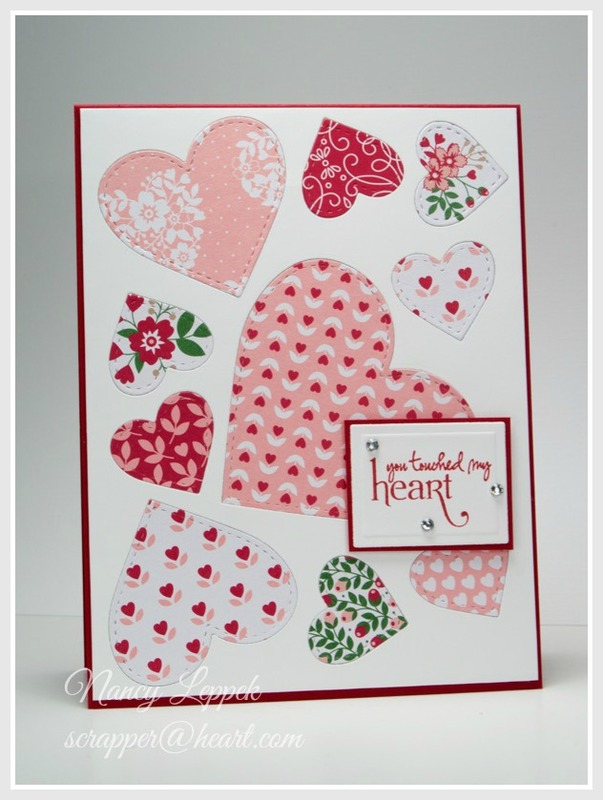 It just so happens that my heart border punch die is Verve as well. My paper is from Stampin Up and Recollections. Categories: Cards | Tags: Card making, Cards, hearts, love, my favorite things, rubber stamps, stamping, Valentines Day, Verve Stamps | Permalink. 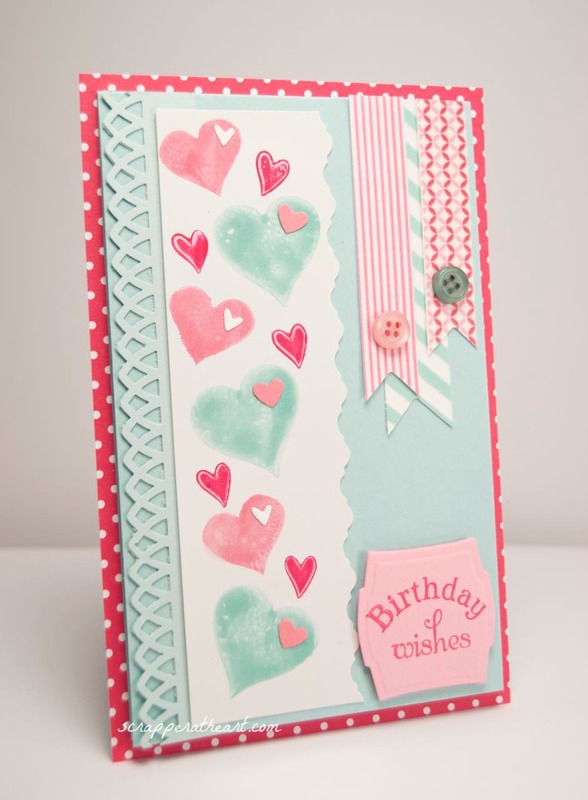 Hi Friends, Over at Seize the Birthday this time around we have a “Topping” option of Hearts and or Arrows. 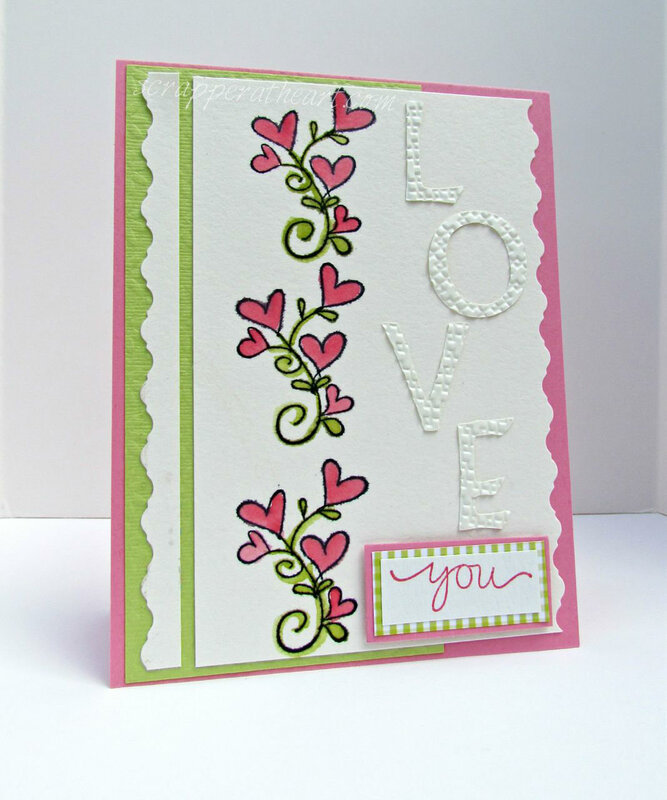 I chose to do just hearts this time and to make a tall and skinny card! Remember, our topping is an option and not a requirement…you can always join us with any Birthday card and or project! Here are a couple of quick details: I stamped my cards on SU glossy paper, and that is why they look sort of light in spots. Not quite what I expected, but I think it looks okay. The pennants are made with Washi tape. The sentiment is from Verve. The border punch is one of my favorites from Martha Stewart. Added some buttons and hearts and I was done! Hope you come by STB and join us sometime in the next two weeks, we would love to have you! You have to come by and at least see what my talented team has done! Incredibly versatile for sure! See you there! 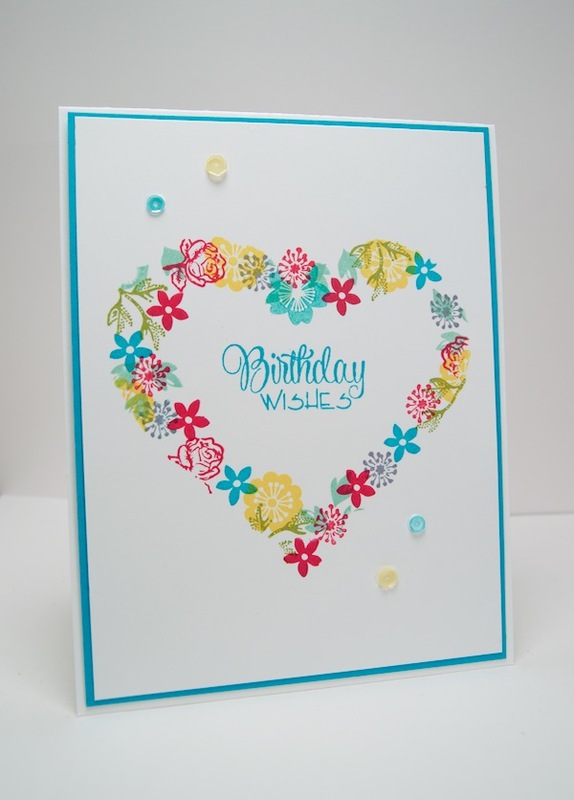 Categories: Cards | Tags: Card making, Cards, Happy Birthday, hearts, rubber stamps, stamping, Verve Stamps | Permalink. Hello Again, Yes this card is very similar to a previous post of a week or so ago, but I am hooked on this awesome heart template from MFT what can I say. I also wanted to sneak in under the wire and link up to the challenge going on at Curtain Call. I do not own any kissing stamps, however my card was inspired by the colors of the banners in the photo! Lights and darks combined. Here is a little bit about this die. The Fluttering Hearts Cover-Up is a beautiful and inventive Die-namics that will cut a four by six grid of hearts, leaving the centerlines intact. It is so much fun and I am so glad I got it! The letters were cut out on my Big Shot using dies from SU. The small hearts are made with a punch. Categories: Cards | Tags: Card making, Cards, hearts, love, my favorite things, rubber stamps, stamping, Valentines Day | Permalink. Today over at Just Us Girls, Marisa has this great photo to inspire us! Look at all that LOVE Inspiration you can pull from to get your MOJO flowing! The Bold letters are what first inspired me and then the rest just fell into place. project and I enjoyed using it so much I decided to use it again. 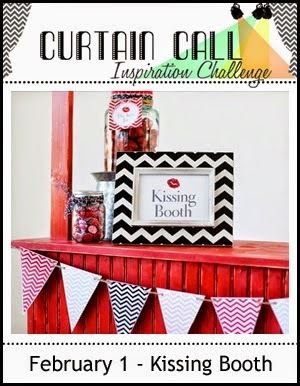 I am also entering this in the color challenge over at The Pink Elephant! The colors this week are Pink, Red and your choice! and I probably picked it up at Michaels. Used my SU watercolor brush and Real Red and Lucky Limeade Ink. Made the letters with my Cricut and ran them through my Cuttlebug! Really happy with the outcome! 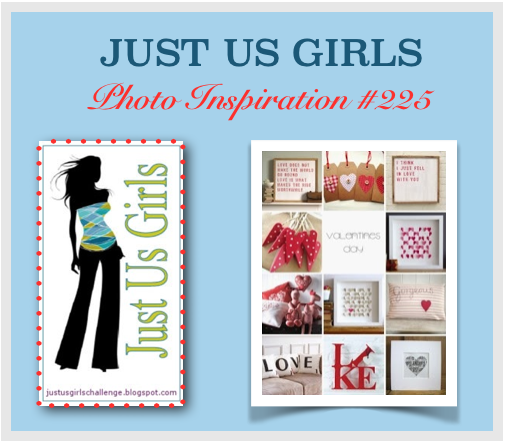 Come on over to Just Us Girls and join us! you are in the running to be chosen as our Guest Designer for the month of March. 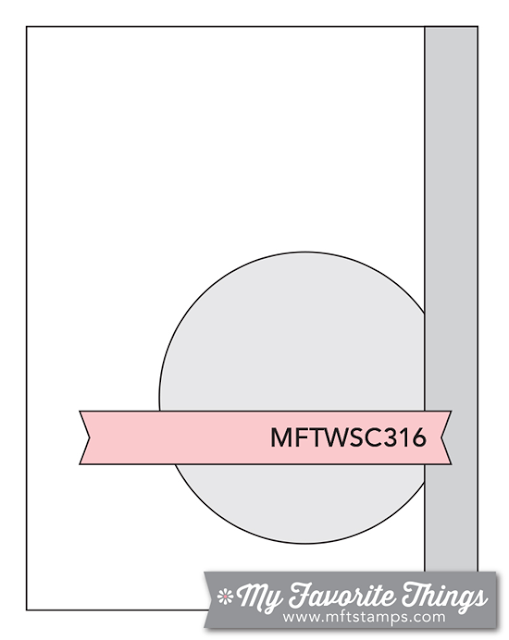 Categories: Cards | Tags: Card making, Cards, Cricut, hearts, love, rubber stamps, Stamping Up, watercolor paper | Permalink. for this week on purpose so that I may share it here and @ the Crafty Card Gallery. 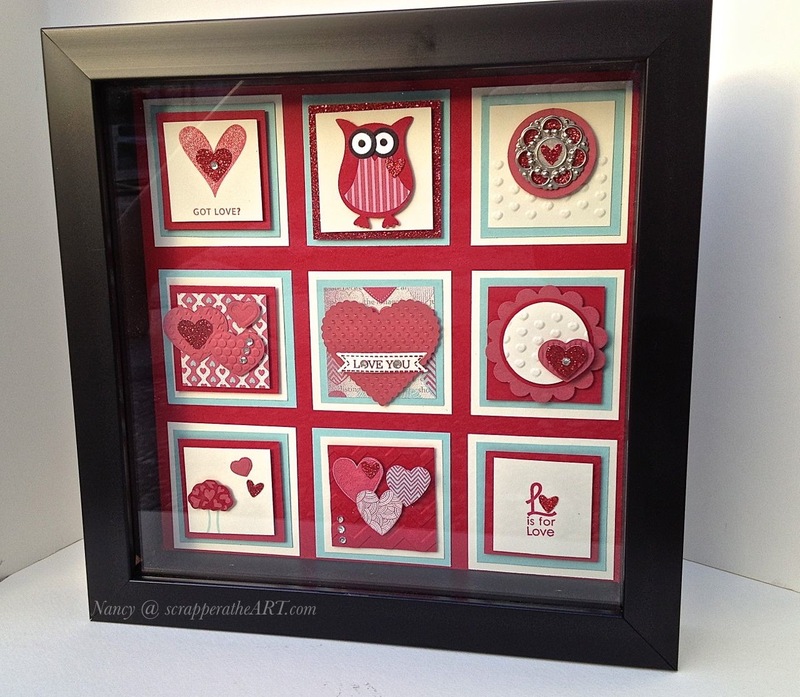 Categories: Other | Tags: hearts, love, rubber stamps, shadow box, Stampin Up, stamping, Valentines Day | Permalink. More Hearts? Yes I am afraid so! You can never get to much LOVE! Today’s card is going to look very similar to one I posted earlier in the week. one very similar so that she may frame it. I was happy to oblige and I thought that was such a compliment! So if you are thinking you have seen this layout before, well yes you have. This one is much better, don’t you think? Can’t decide if I like the soft edges on my card photo or if I should leave it the way I usually do it. I am linking it up with two challenges. Thanks for your feed back, I so appreciate it! 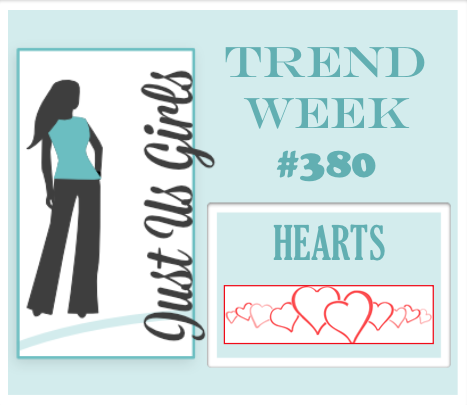 Categories: Cards, challenges | Tags: Card making, Cards, Cricut, cuttlebug, hearts, love, Valentine | Permalink.